The rockfall was caused by a large boulder that became dislodged. It in turn destabilized several other boulders. 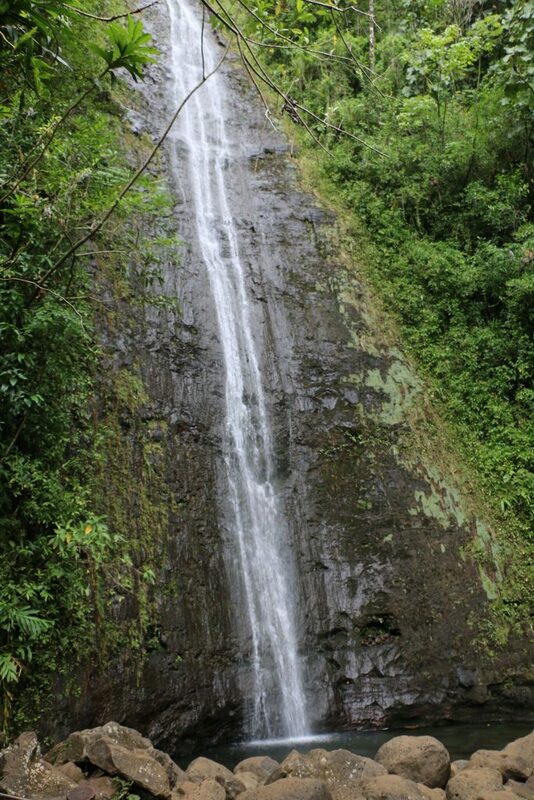 It happened just above the junction of the Manoa Falls Trail and Aihualama Trail. The biggest boulder was an estimated 30-feet in diameter. The slide crushed fencing around the Maona Falls viewing platform and destabilized rock out-cropping’s above it.